When I was little, my mom used to make a lot of my clothes. She had bought these cute labels with my name on them (and a second set for my brother) that she used to affix on the inside of all of our garments, handmade or not. I think they were mostly for the purpose of helping us recover our clothes when we inevitably left them somewhere. I know I did that a lot. 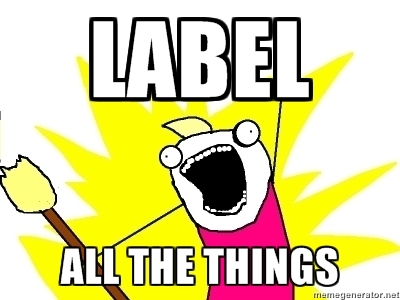 As an adult, I don't attach labels to everything I make. Cute finishing details aren't my strong suit and, generally, they don't seem necessary to me. However, there are a few instances when I've been in need of a tag. For one, there are those shirts where it's hard to tell the back from the front. My favorite Mandy Boat Tee (I'm wearing it as I type) is one example - I always have to hold it up at the shoulder seams and compare the neckline to determine the back from the front. My bridesmaid dresses this summer were another occasion for a tag. I knew that five dresses would get all mixed up if I didn't somehow identify whose was whose! While they were nearly identical, they were drafted to suit each bridesmaid so it was important to keep them straight. Finally, on the occasion that I do sew for others, it's nice to have something to leave my mark. For times when just a single initial will do and you're feeling a little fancy, I love the idea of using lettered beads as the tag. 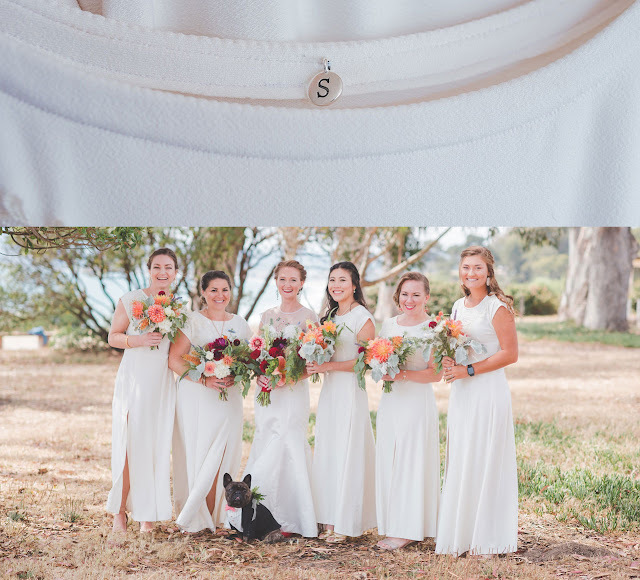 This worked perfectly on my bridesmaid dresses using antique-style silver-plated pewter round alphabet charms. I got mine on Artbeads.com, which sells the beads individually at an affordable price - perfect for buying different letters for different bridesmaids. I also just ordered a pack of Ms for myself from Amazon, which is cheaper in bulk if you just want one letter. 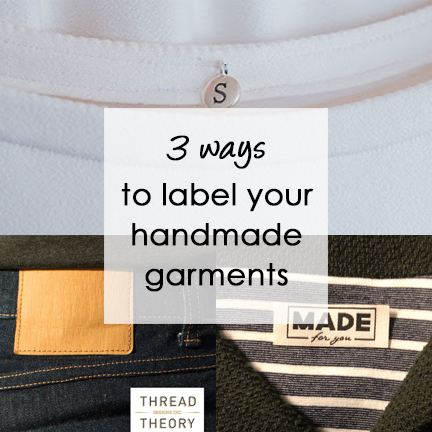 Just like my mom did, there are a number of options for designing and ordering your own custom garment tags. This year, the Dutch Label shop let me try out their service for free and they have a range of options from Basic Woven Labels where you choose your font and a graphic, to fully customized Woven Labels that you can completely design yourself. They also offer Care Labels, Hang Tags, and Stock Labels for those looking to go into business. This is definitely a great option for professional, customized garment tags. I love that you can get them printed to say whatever you want, from "Made with Love" to "Made with Blood, Sweat and Tears!" Ha! I was really impressed with their customer service and range of options. I even got a personal email with a proof and suggestions for the right size tag for my design. If you want to try out the Dutch Label Shop, use code madebymeg15 for 15% off. I already used the code to order my mom some! Not all labels have to have lettering. 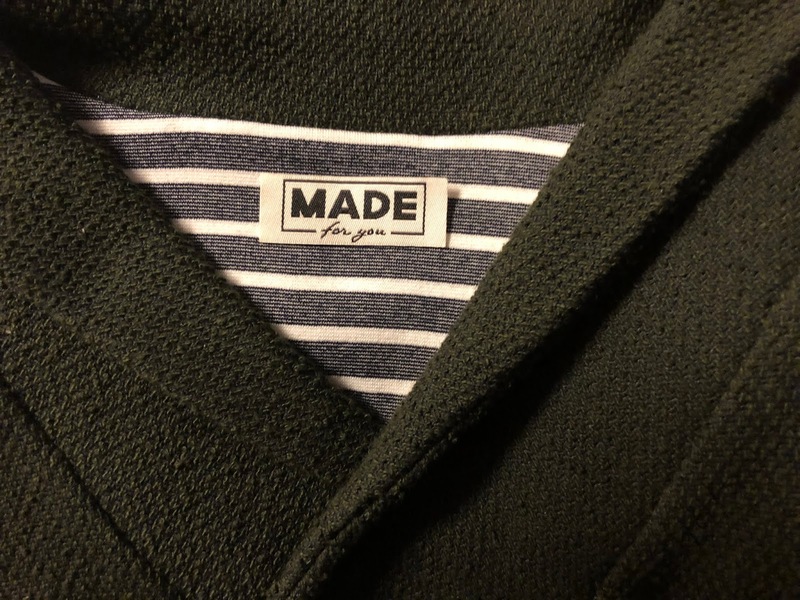 If you're just trying to tell the back of your garment from the front, what about using a ribbon, piece of leather, button, or other material as a marker? I've even sewn some decorative stitches in contrasting thread on the back of my neckband before folding it under. 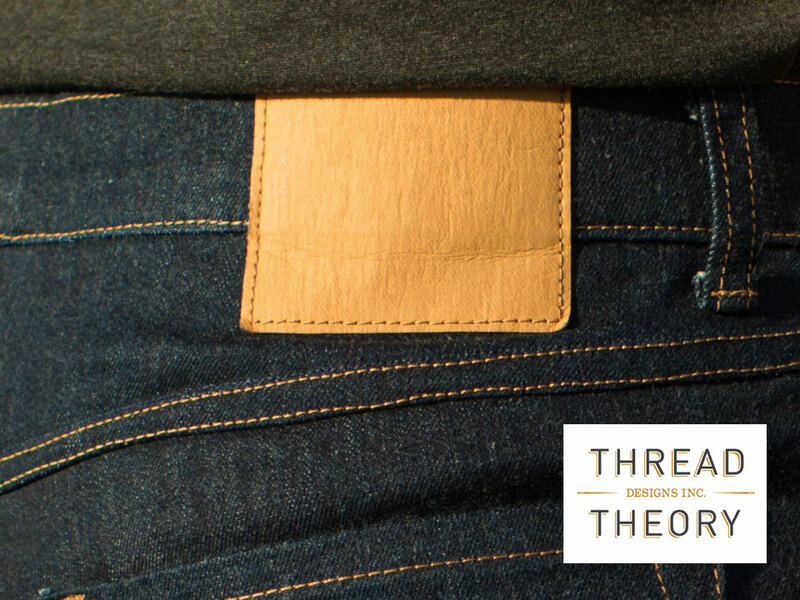 A great example is this waistband patch for jeans, which Thread Theory sells for just $2. If you have other ideas, I'd love to hear them below! Or maybe you're just not a labels person? I am making some more jeans soon and was thinking about using some of the leather scraps I have in stash to make a label. I may even do a cut-out of the leather on my Cricut! !